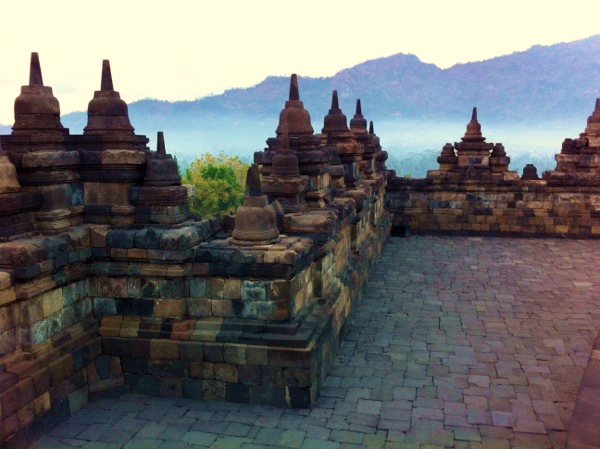 There are few things more spiritually peaceful in this world than Borobudur temple at sunrise. 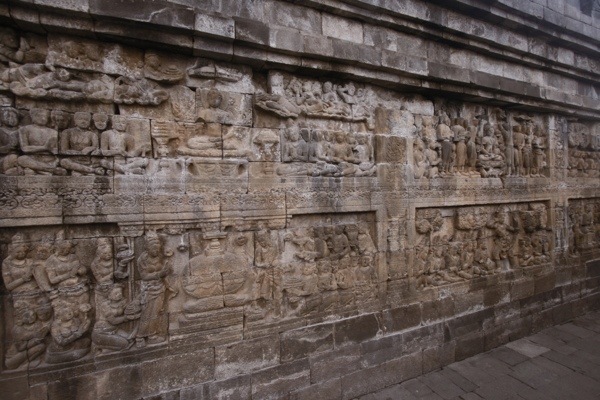 The Island of Java in Indonesia has historically been a cauldron of religious struggle and a holy land for the precursors of modern religions way before Buddhism, Hinduism and Islam built competing shrines and pilgrimages. The islands active, fiery volcanoes echo the intense religious struggles that lie hidden beneath the surface of society. 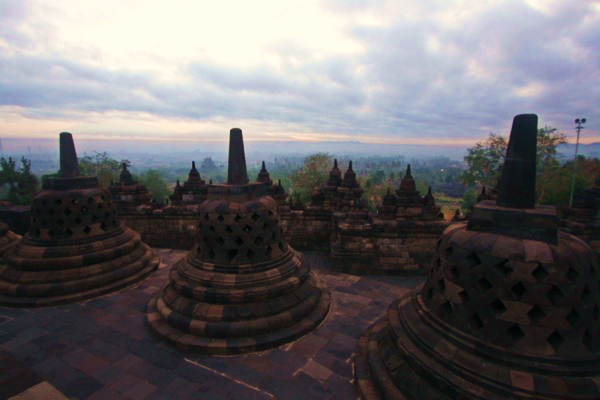 After spending the night in an old Buddhist monastery, I am awakened like clockwork at 4am to the chanting of prayers to climb to the top of the ancient temple of Borobudur before sunrise. 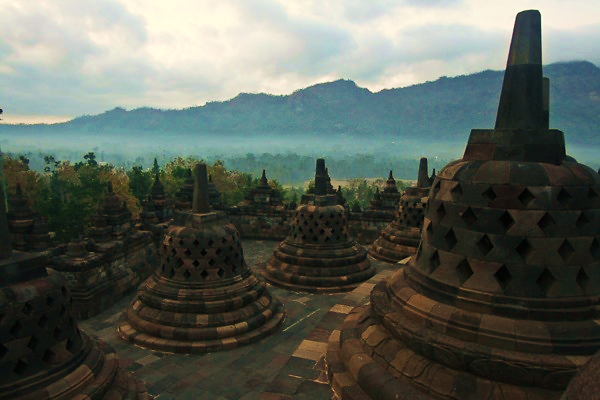 This is the world’s largest Buddhist monument surrounded by volcanos in the central valley of the island of Java. 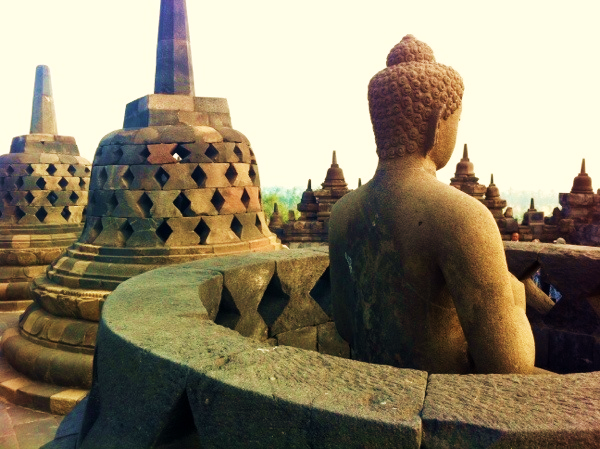 Borobudur has been a Buddhist pilgrimage site for thousands of years. The architects have carved a holy book of sorts within its tantric layout that simultaneously represents the Buddhist cosmology and the nature of mind. The monument contains over 500 Buddha statues, many hidden within these stupas to signify the hidden spirits that surround us every day. As you wind your way clockwise through the corridors of this massive temple, over 2 miles of intricate carvings depict the path to enlightenment from the world of desires to the world of forms, and finally towards the heavens, the formless world. 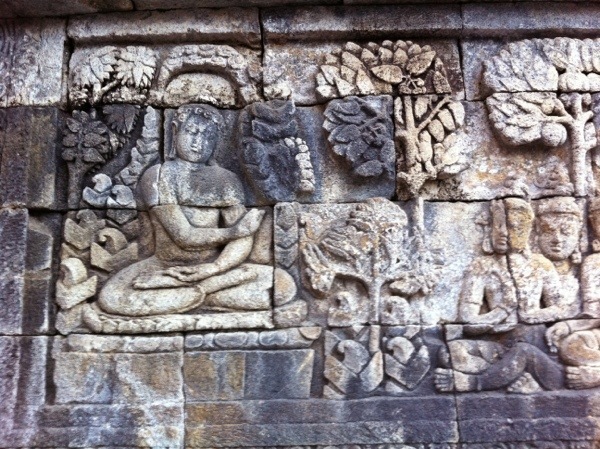 Borobudur is in a small village about 40 minutes by road outside of Jogjakarta, Indonesia’s sprawling and congested second city. Domestic and International flights are frequent into Jogja (JOG). Fixed price taxis are available at the taxi stand to avoid the need to haggle. Almost all budget travelers stay at hostels near the (relatively) quiet Sosrowijayan and Prawirotaman streets in Jogja, (I still can’t pronounce them), which has a great selection of hostels, bars and trendy cafes. Lovely blog, Brad, you’ve got us hooked! Thanks for connecting with us on Twitter! Keep up the great work and travel safe! Hitch-Hikers Handbook recently posted…Why visit Bilbao, Spain?